Pink lined crystal size 8/0 Miyuki glass seed beads - 28 grams of beads in a 6 inch tube. There are approximately 39 beads per gram, depending on the color and finish of the bead. Measurements: 8/0 Size - Approximately 3mm in diameter, hole fits up to 18 gauge wire and stringing material (.040 inch). 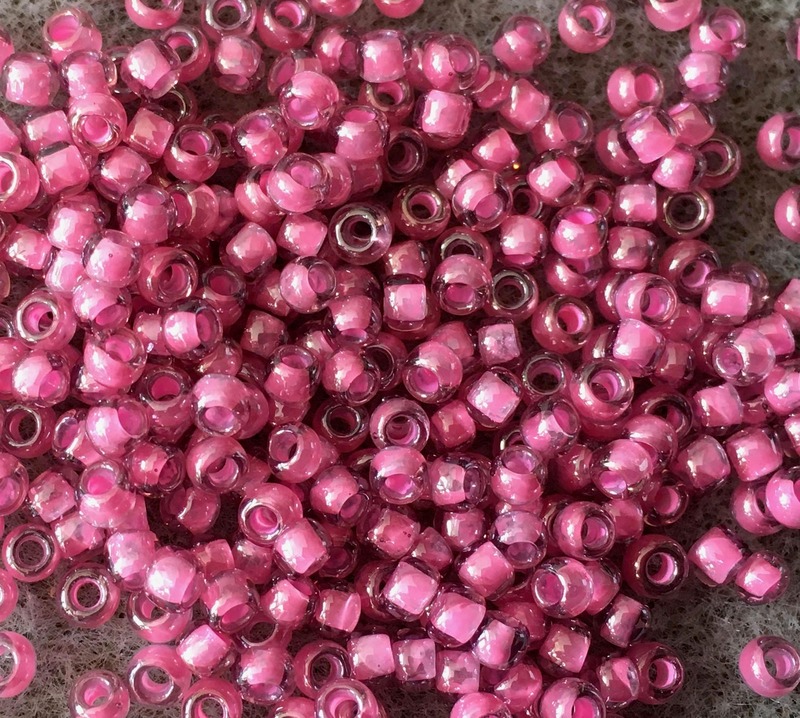 Miyuki beads are designed to have a larger hole that allows for even more passes through for threads. The larger hole also creates lighter beads which give you more beads by weight. Consistent size, shape and quality!